Announced at the beginning of 2017, the Gionee F5 is a smartphone for people who desire one that comes with a long-lasting battery. It features a humongous battery, an HD IPS LCD touch display, an octa-core processor and elegant design. The Gionee F5 doesn’t look shabby for its mid-range pricing. It parades a sleek, unibody design with the chassis made of metal. The phone is thinner than the Gionee A1 at just 7.7 millimetres in thickness. 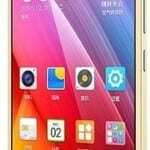 However, the Gionee F5 features a slightly smaller 5.3-inch display with an HD resolution of 720 x 1280 pixels. The phone should deliver decent wide-viewing angles considering its IPS LCD display technology. It is given a curvy feel by 2.5D glass overlaid on the touchscreen. The Gionee F5 comes with a combo of 13-megapixel rear camera and 8-megapixel front-facing camera. The primary camera features LED flash, touch focus, autofocus, face detection and HDR. You can use the phone to shoot high quality Full HD (1080p) videos at 30 frames per second. On the inside, the Gionee F5 carries an octa-core MediaTek MT6750 processor. The CPU runs at a maximum speed of 1.5 GHz and is assisted by ample 4 GB of RAM. Internal storage capacity is 32 GB, expandable by up to 256 GB using a microSD card. Some buyers may be disappointed to find the Gionee F5 still runs on Android 6.0 Marshmallow OS. 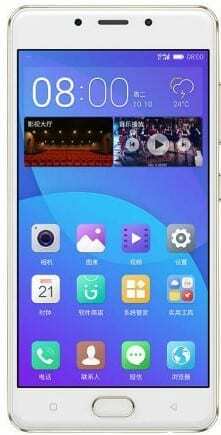 The software has Gionee’s Amigo user interface on top. Perhaps, the main highlight of the Gionee F5 is that it comes with a 4000mAh non-removable Li-Po battery. Its maker says the juicer can support more than a day of music playback. 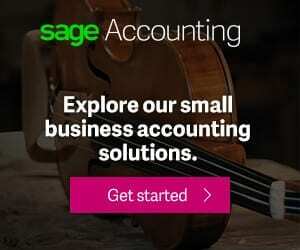 You can also get up to nine hours of talk time, according to the company. The Gionee F5 has a fingerprint scanner nestled in its Home button for additional security and authenticating payments on AliPay. You get Bluetooth 4.0, Wi-Fi 802.11 b/g/n and 4G LTE among the connectivity features. 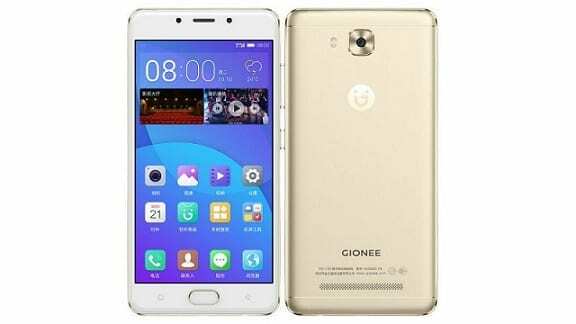 Gionee F5 is not yet available in Nigeria, Ghana, or Kenya. When available, you can buy the smartphone at leading online stores in the country. Gionee F5 Price in Nigeria is expected to range from 95,000 Naira to 155,000 Naira, depending on your location in the country.